The present book contains a series of lectures delivered at the Ecole Pratique des Hautes Etudes (Paris) in March 2015 and at the Savitribai Phule Pune University (Pune) in October and November 2015. This volume grew out of efforts to teach the textual criticism of Sanskrit works in theory and practice. It covers the general theory of textual criticism, its history and practice in Sanskrit studies, and tries to offer concrete examples of newly edited texts in order to show that Sanskrit editing is not so much a specialist knowledge, but a basic skill for Sanskrit readers. 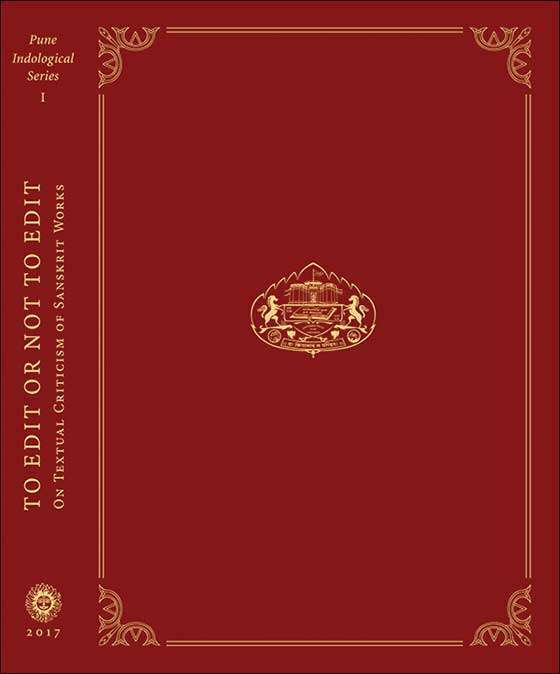 To edit or not to edit will appeal to specialists with interests in fields such as Sanskrit philology and textual criticism, history of Indology, old, medieval, and modern Sanskrit texts from Kashmir, as well as Indo-Persian studies. The Pune Indological Series was established in 2017. Its editor-in-chief is Prof. Mahesh Deokar (Pune), and its co-editors are Prof. Shrikant Bahulkar (Bhandarkar Oriental Research Institute), Dr. Lata Mahesh Deokar (SavitribaiPhule Pune University), and Dr. habil. Dragomir Dimitrov (Philipps-Universitat Marburg). In this series it is aimed to publish high-quality research work in the field of Indology, focusing primarily but not exclusively on Buddhist Studies carried out at the Department of Pali of the SavitribaiPhule Pune University or in collaboration with it. The Pune Indological Series is published and distributed by Aditya Prakashan in New Delhi.